There’s a big price difference between the CP1 and the CP4. You can get the CP4 at a price that offers more than you would expect. It can compare itself to acoustic pianos in many aspects, but is at a fraction of the cost of an acoustic model. 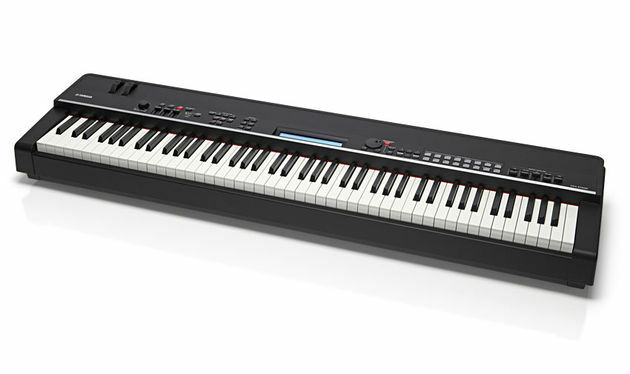 Yamaha CP4 weighs 38lbs when uncased, (17.5 kg). This manageable weight makes it possible for an individual to lift it while playing without being physically exhausted after a short while. The lightweight piano can also be moved between two locations with ease. The wooden piano keys (white only) beg only a click to bring about their acoustic warm sounds. They are actually easier and more balanced to play than any plastic keys available. They are covered in ivory and are not textured, bring about the “graded hammer” action. This implies that the keys in the lower notes are heavier and they become lighter as you go up the keyboard in pitch. Unlike the CP1, the CP4s cursor and jog wheels make it a lot easier to navigate. However, it’s not fitted with rotaries behind the screens. The blue back light display works efficiently to convey parameters. Selecting sounds is done by clicking the category button and scrolling on the voices in the menu. You can also opt to call up the voices you want instead of scrolling through all of them. 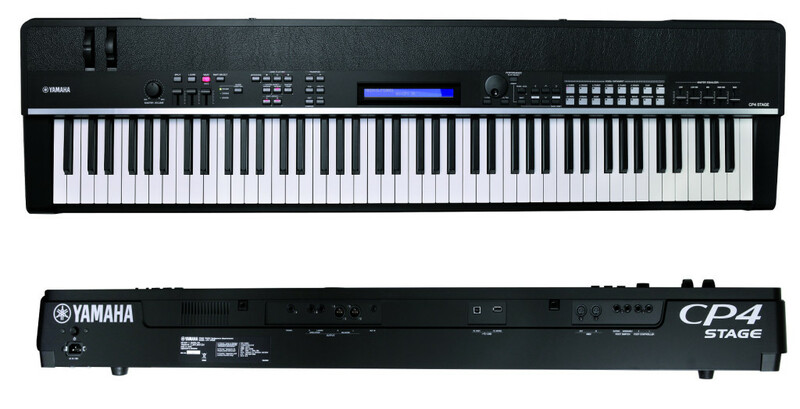 Yamaha CP4 has a sound variety of 433 sounds offering one of the best sounds ever to come from a digital piano. On each of the 433 sounds you will get multiple variations; each variation with different effects associated with it. As if that’s not enough, it has 321 inbuilt additional sounds. They are based in the sound synthesizer, which includes bass, drums, pads and clarinets. a) Double equipped Fender Rhodes emulations. b) Wurlitzer- A popular sound that was common in the ’70’s. c) The 80s DX 7 electric piano sound. d) The CP80 grand piano sounds. This stage piano from Yamaha has some solid advantages on its part. It offers a complete package for any pianist. It is the piano that can do solo as well as ensemble music within the blink of an eye and bring out the best in both. However, before making the final purchase of this stage piano, consider that it does not come with inbuilt amplifiers. That means you will have to purchase the amplifiers separately if you think you’ll need those extra watts. It also doesn’t include a stand. In case you consider buying the CP4, you can find read our guide on finding the best keyboard stand. Another possible consideration is that you can’t feed your own samples. Despite the few cons, Yamaha CP4 is a musical instrument that you should consider buying if you search for that extra something!